The Manual Store is your most reliable one-stop shop for any type of service or repair manual. 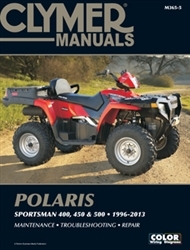 We carry manuals for all types of vehicles. In fact, if a manual exists, then it's probably here. That's because we have the best and largest collection of motorized vehicle books on the Internet! 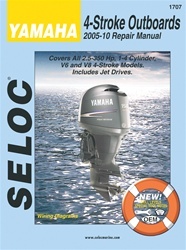 We carry the best publishers like: Clymer Manuals, Seloc Manuals, I&T Tractor Shop Manuals, JenSales and Haynes. These publishers really know how to produce amazing schematics and write accurate service directions. As an industry leader in our niche, we like to tout that we provide our customers easy access to thousands of manuals with an easy to use interface, free shipping options, safe and secure ordering, and no hassle returns. The Manual Store is truly the #1 choice of mechanics and motorsports enthusiasts around the world. What type of manual do I need? We have put together a brief manual definition section below to help you select the proper book to help you fix your vehicle. A parts manual has exploded views of all parts on the machine, giving great visual detail on assembly and dis-assembly. It usually includes a guide for ordering parts including the OEM (original equipment manufacturer) part number. The book is typically used as an extension to a service or repair manual. We don't just have generic manuals for cars, trucks, tractors, boats, and other categories of vehicles. 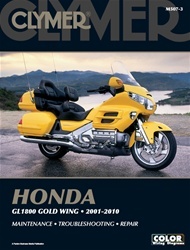 We have manuals for specific brands and models as well. Name a brand (such as Ford or International Harvester) and we have the manuals for just about every vehicle they ever had. In addition, we are not limited to just offering manuals for vehicles and equipment that are still in production. We offer manuals for vehicles that have disappeared long ago. We also have manuals for vehicles from companies that are no longer in business today. Even if a company folded up in the 70's or 80's like Minneapolis Moline and Allis Chalmers, we still have the information you need in order to make sure that your vehicle runs smoothly even though its manufacturer isn't around anymore to offer customer support. 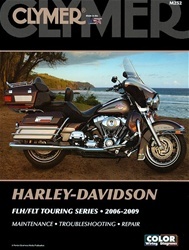 The Manual Store now carries Harley Davidson aftermarket parts and accessories. Whether your motorcycle is a new Sportster or a vintage Panhead, we have the parts you need to dress up your bike and keep it running smooth. We have partnered with VTwin Manufacturing to bring you over 10,000 parts to cover everything you could think of on your hog. "I bought the manual for my husband, and he was very, very pleased. 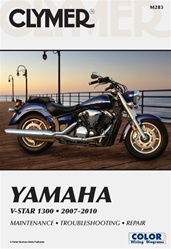 Thank You"
"I recently purchased a Harley Davidson manual. I just want to let you know how pleased I am with your website, service and fast delivery." "My overall experience with this store was great. I ordered my product one day & had an email the next that it had shipped already. I was very pleased & would recommend this store to family & friends.... "
"The Manual store was great! Shipping was free, the manual I ordered came quickly, no issues. I will definitely use this site again when I need another manual!" "I recommend these folks very highly and I will definitely will do business with them again."